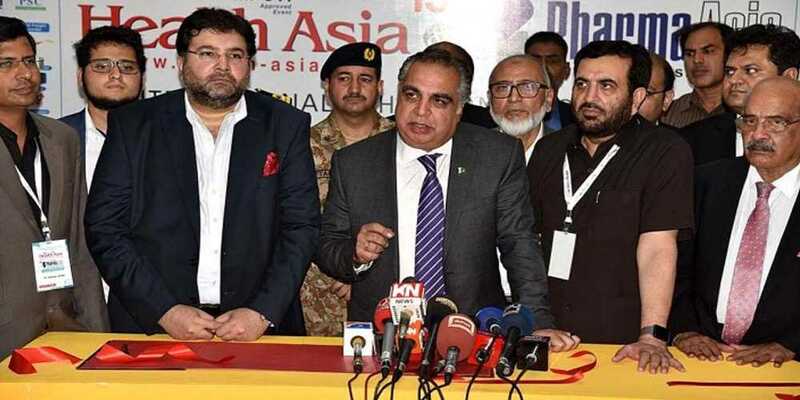 Governor of Sindh here on Tuesday opened the 15th Health Asia Conference being attended by experts from 25 different countries of the continent. The three day moot also coincides with an exhibition participated by more than 900 pharmaceutical and medical equipment manufacturing companies from within the country and also across Asia. Later on talking to the media, the governor provision for quality medical care is among the top priorities of the government and presence of experts from related sectors is an opportunity to gain from their knowledge and experience in the larger interest of general public. “Field of medicine and medical science is undergoing a steady process of progress that must be shared,” he said. He particularly emphasized need for regular and updated training of medical technicians along with all relevant professionals. The governor thanked the guests for being part of the moot and felicitated the organizers for efficiently holding the event for past several years. In reply to a question by a journalist he said Pakistan Rangers, Sindh has played an important role in restoring peace in Karachi so much so that foreigners are expressing increasing interest in visiting the metropolis. To another query, he said Prime Minister Imran Khan is expected soon to visit Karachi with all chances of good news for the citizens.